Finish off your look with a striking statement earring. 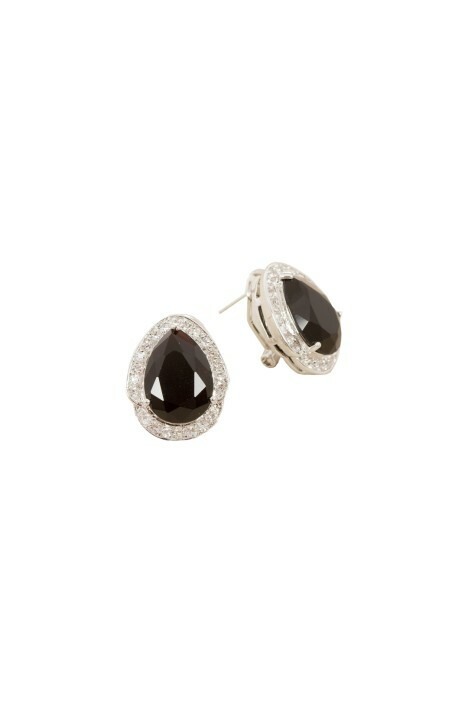 It features a black teardrop stone set in sparkling diamantes. A post and clip backing secures this piece to the ear for effortless wear. Rent yours for a touch of glitter with a metallic gown, a cocktail-ready mini dress, or a super suave cut-out midi!